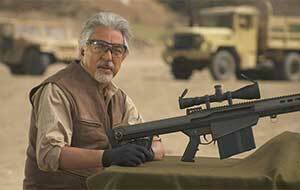 Host Joe Mantegna visits Larry Potterfield who has created, what he calls, the perfect safari rifle. Well ' almost perfect. Beneath the sequined Las Vegas figure was a southern boy who grew up in the world of firearms. Hosted by Joe Mantegna. 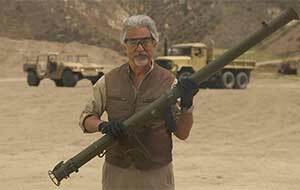 Joe Mantegna explores the guns designed to stop the unstoppable tank of the first World War. Joe Mantegna visits Cabot Arms to get a first hand look at their 1911 made out of a meteorite ... yes, meteorite. 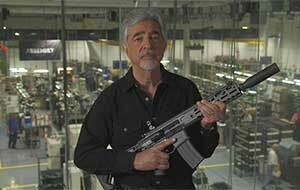 Joe Mantegna examines the history of sub-machine guns. Joe Mantegna explores the rag-tag cavalry that stormed San Juan Hill. Sig Sauer hires a new CEO, and the company never looked back. Hosted by Joe Mantegna. Sig acquired J.P. Sauer and Sohn in 1975, positioning themselves as a leader in firearms capabilities. 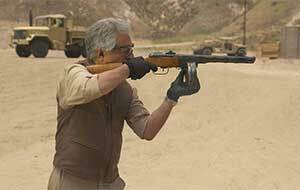 Joe Mantegna visits Cabot Arms to get a first-hand look at their 1911 made out of a meteorite. Host Joe Mantegna visits Larry Potterfield and discusses his beautifully matched pair of James Purdey & Sons 12-gauge shotguns.